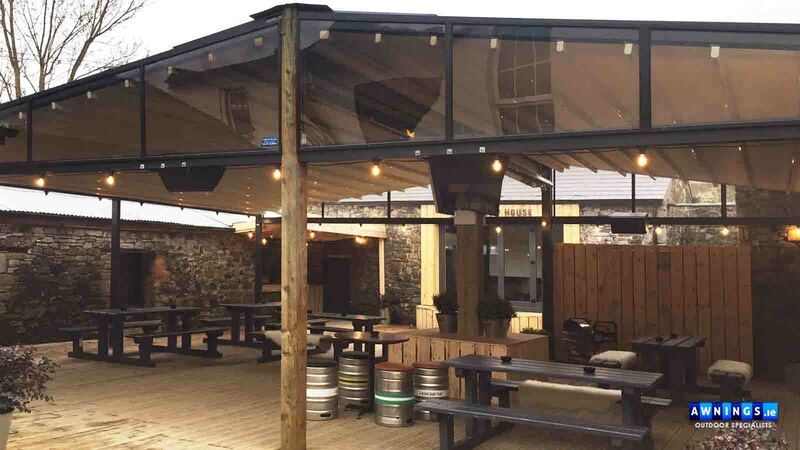 The Awning Company is Ireland's leading manufacturer and installer of Awnings, Canopies, Motorised Roof Systems, Retractable Pargolas and Outdoor Blinds. 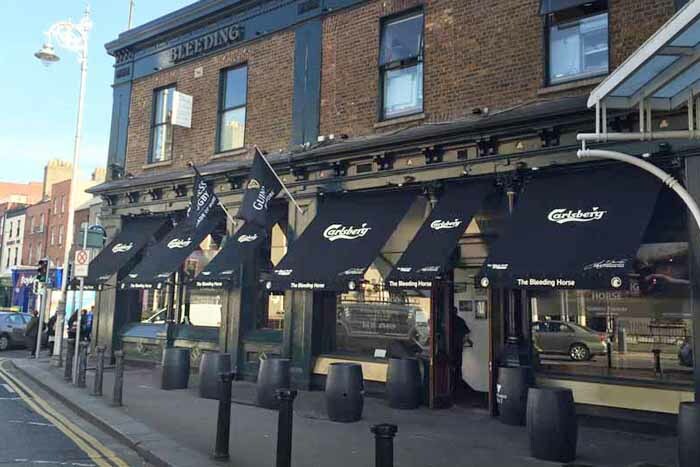 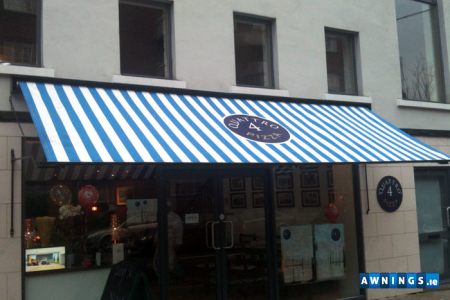 The Awning Company supply a nationwide service to both commercial companies, pub, restaurants, shops and shopping centres, public houses etc that require the highest quality awnings and canopies, professionally specified and fitted. We also offer a vast variety of Awnings, Canopies, Blinds, Patio Glass Screens & Umbrellas suitable to the domestic market. 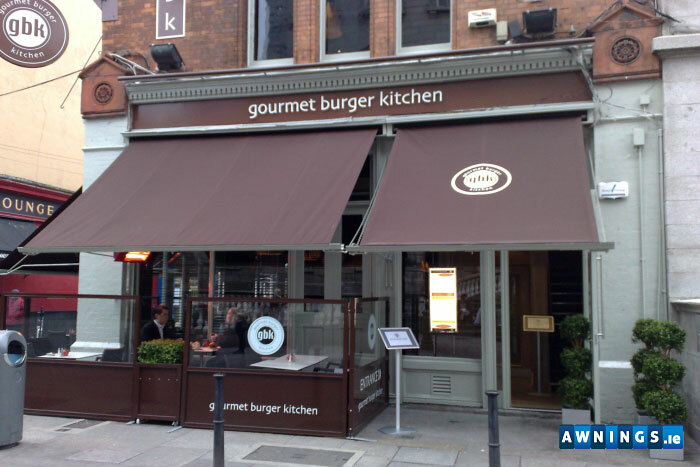 With many years serving the commercial, entertainment and retail sectors, we have become the number one awnings manufacturer and installer in Ireland. 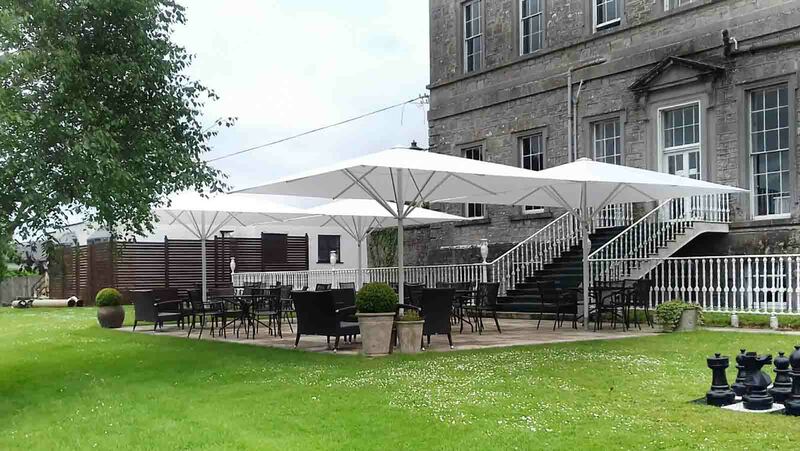 We deliver first class awnings, blinds and canopies, fabrics and glass screen nationwide, to your specification, on time, in budget and every time. 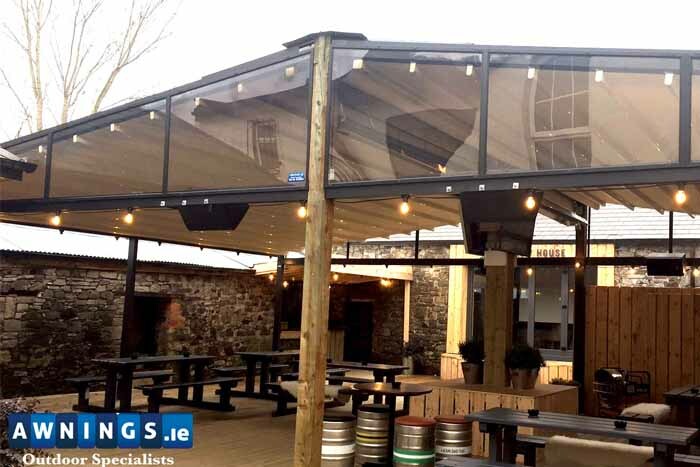 All our products are fully guaranteed and meet all Irish and European manufacturing and safety standards and all our installers are fully insured. Our dedicated, fully trained awning specialists are more than happy to discuss your requirements and advise you where necessary the best specification for your awning, blinds or canopies. 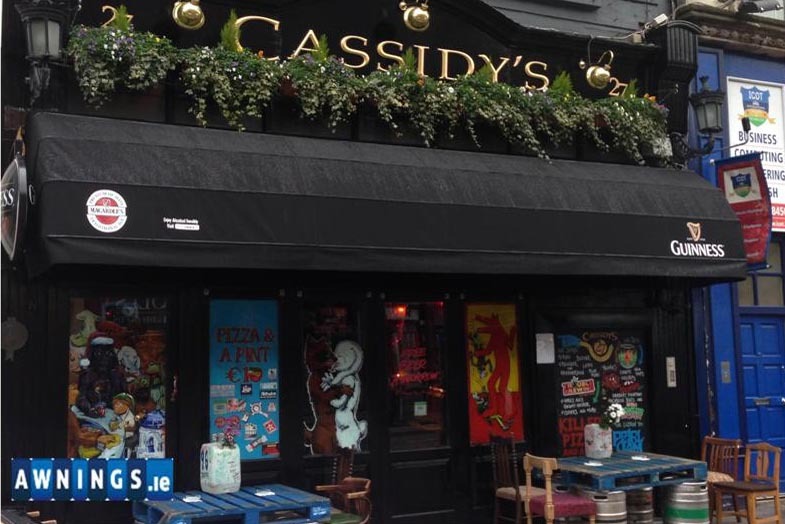 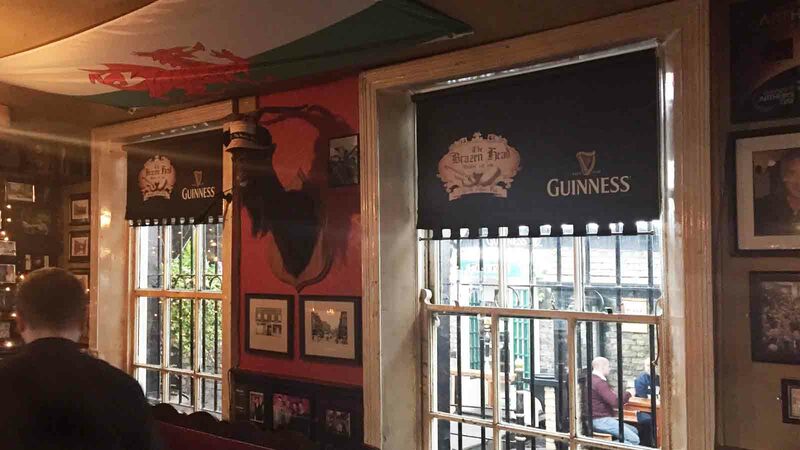 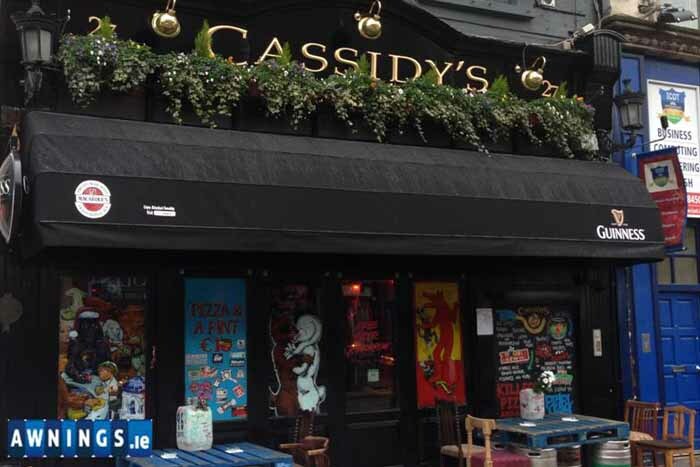 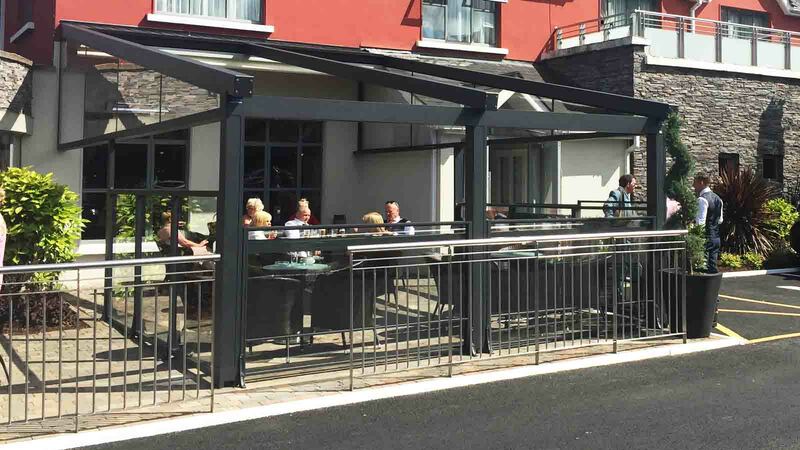 Retractable Awnings and Canopies from Awnings.ie allow home and business owners to take more control of the Irish weather and increase their seating areas outside. 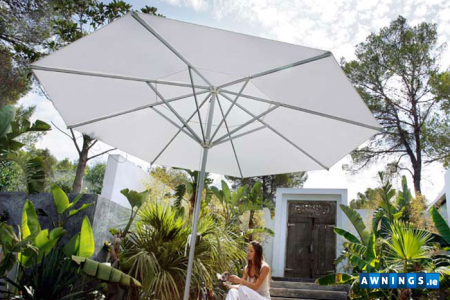 They provide welcome protection against the sun, drizzle, light winds and harmful U.V. 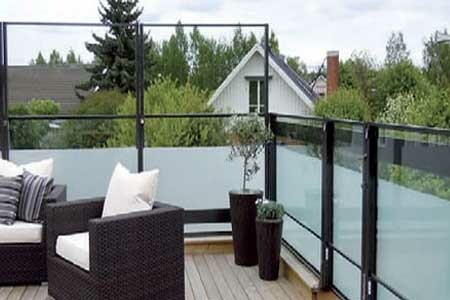 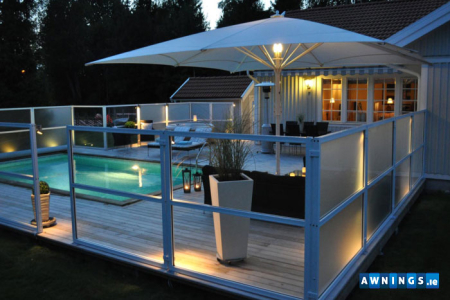 rays which can also fade and damage outdoor furniture and building facades. When passing showers threaten, or when the sun gets too hot, they can be unrolled to provide near-instant protection and shade. 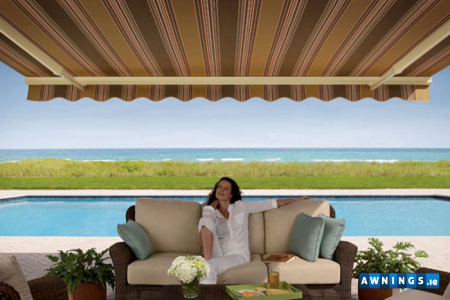 Test measurements have shown that it can be as much as 7 degrees cooler under an awning’s canopy than in direct sunlight and because awnings prevent the sun from shining through windows and sliding glass doors, they can keep temperatures inside cooler as well, which often saves on air-conditioning costs. 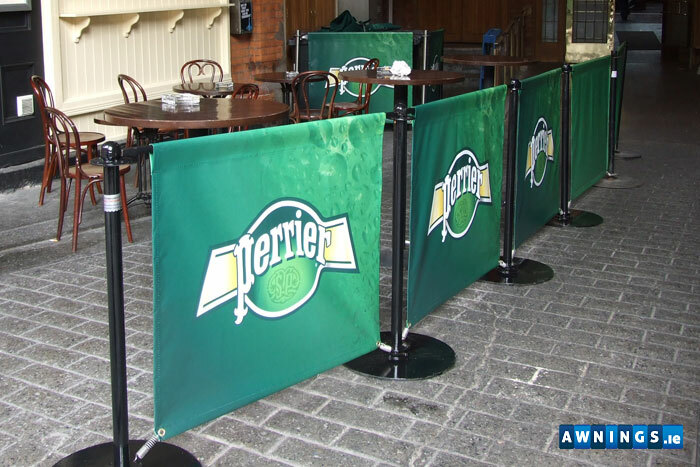 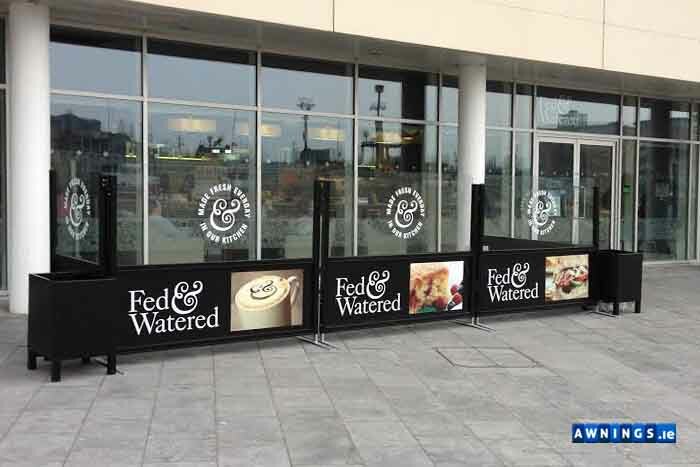 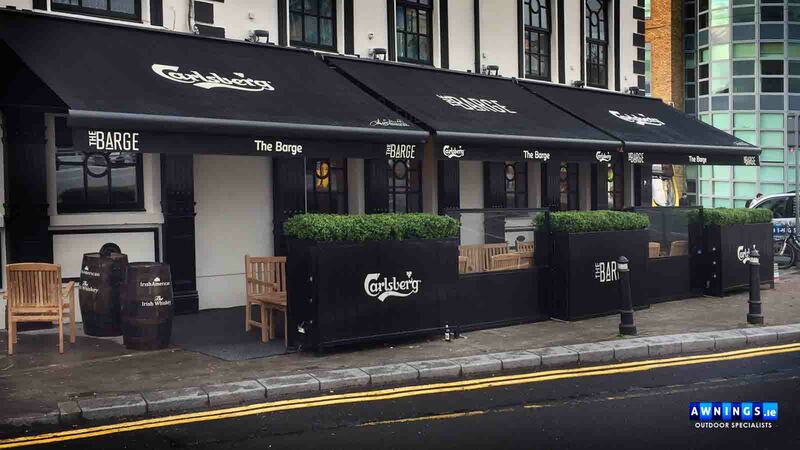 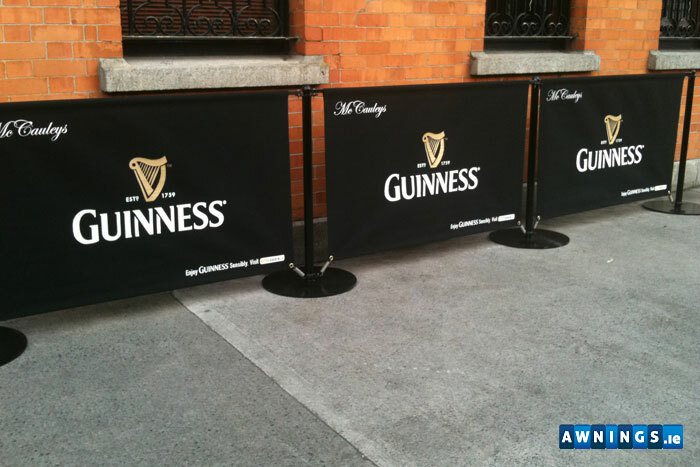 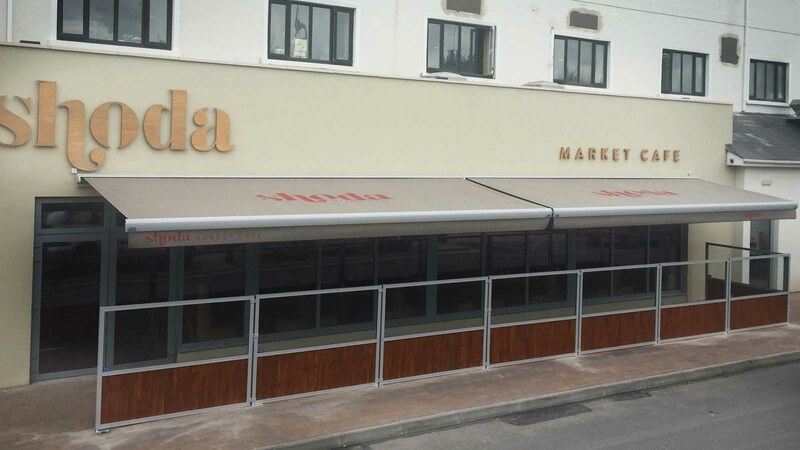 Restaurants and bars make great use of the outdoor or roof areas of their premises by creating extended and stylish seating sections covered and protected by awnings or canopies which can be branded with their own logos and images thus creating greater advertising exposure. The Awning Company supply a nationwide service to all commercial businesses, bar, restaurants, shops and shopping centres, public houses and hotels and clubs amenity areas that require the highest quality awnings and canopies, professionally specified and fitted. 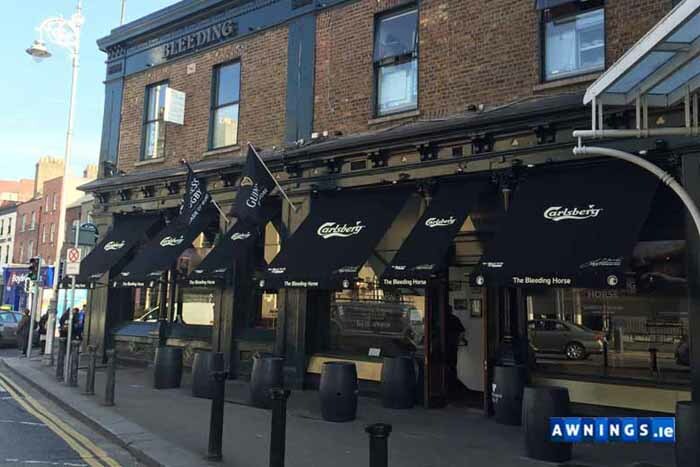 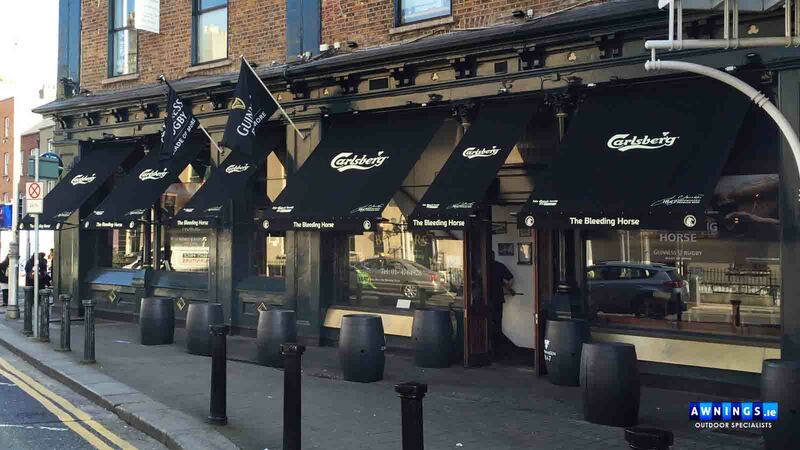 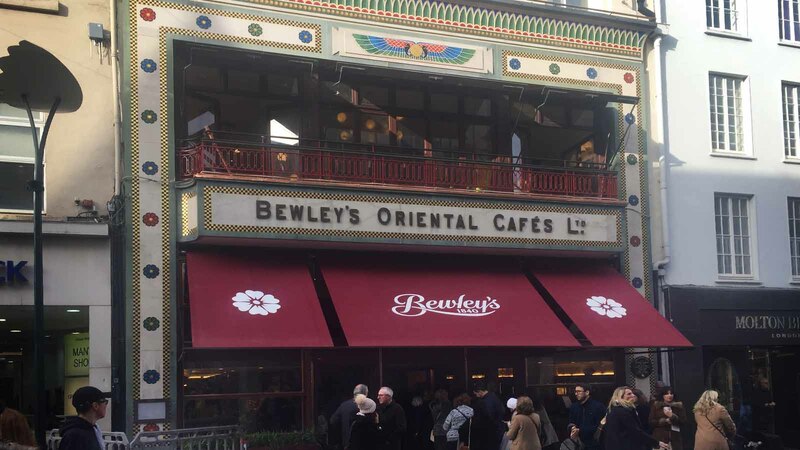 With many years serving the commercial, entertainment and retail sectors, Awnings.ie - The Awning Company have become the number one awnings company in Ireland. 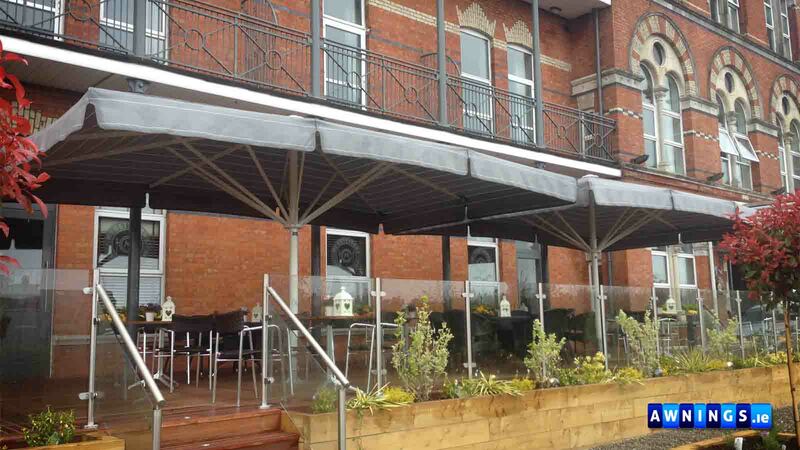 We deliver first class commercial awnings, commercial blinds and commercial canopies, nationwide, to your specification, on time, in budget and every time. 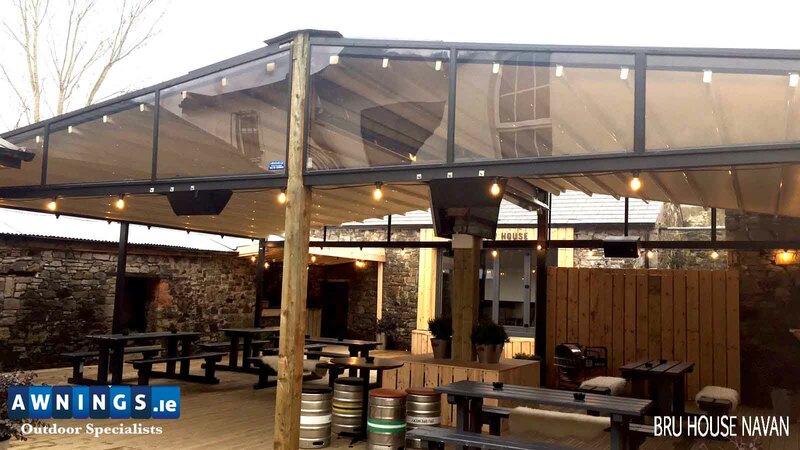 Our dedicated, fully trained awning specialists are more than happy to discuss your requirements and advise you where necessary the best specification for your commercial awning, commercial blinds or commercial canopies. 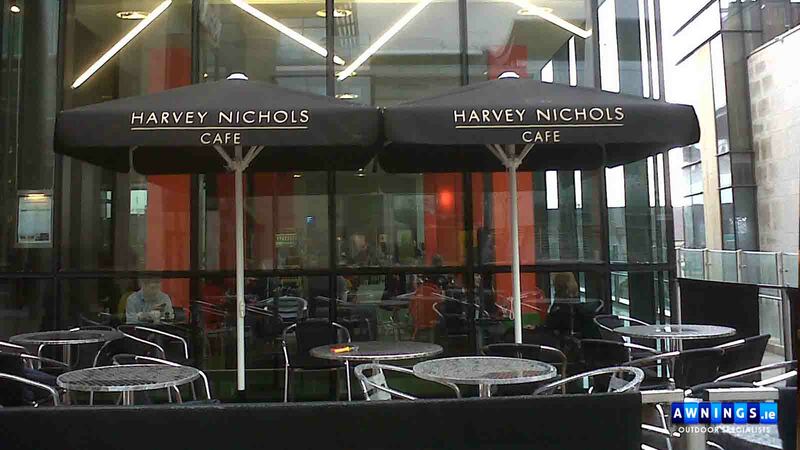 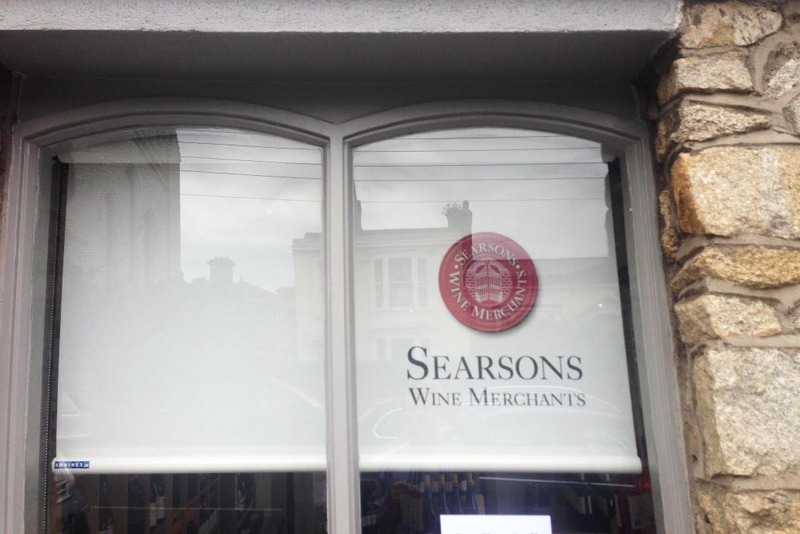 For more information on our commercial awnings please call us on 01 453 0032. 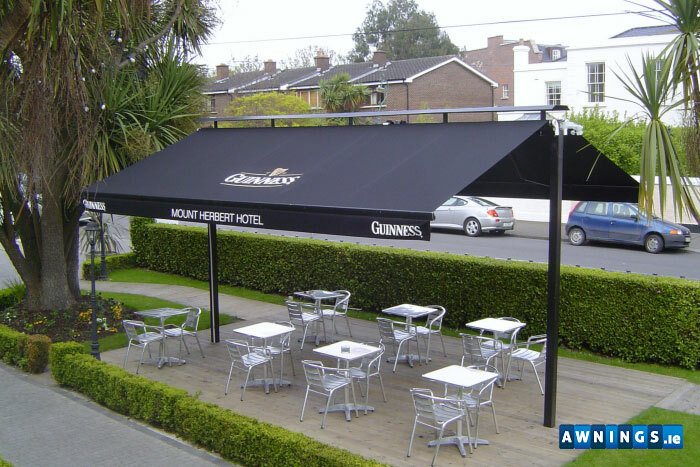 We are the largest and most popular household name when it comes to awnings in Ireland. 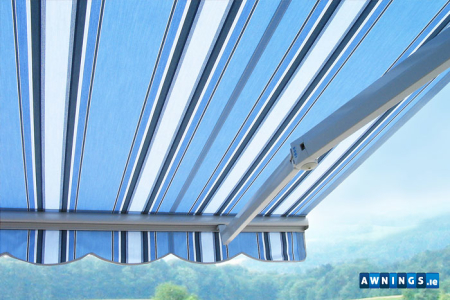 We stock a wide variety of awnings and canopies for your home and garden at very reasonable prices. All our awnings come in a vast variety of colours and materials. 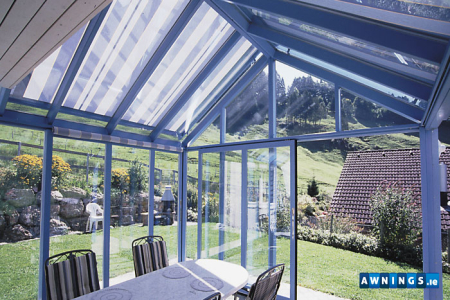 We provide a nationwide delivery and installation service. 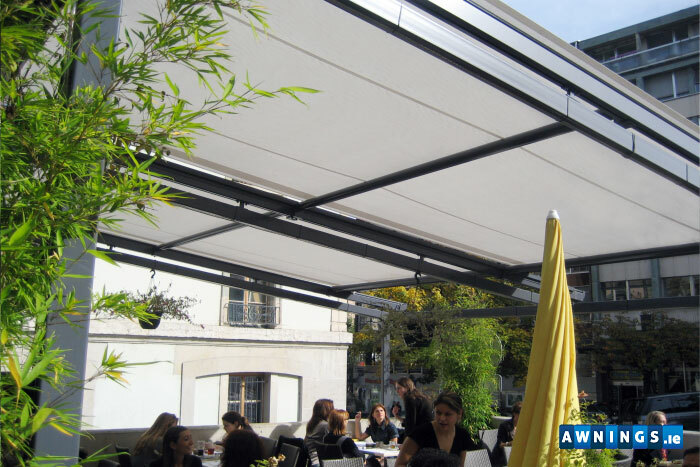 Out installation team will advise you on the best position for your awning as well as any other issues you may have. 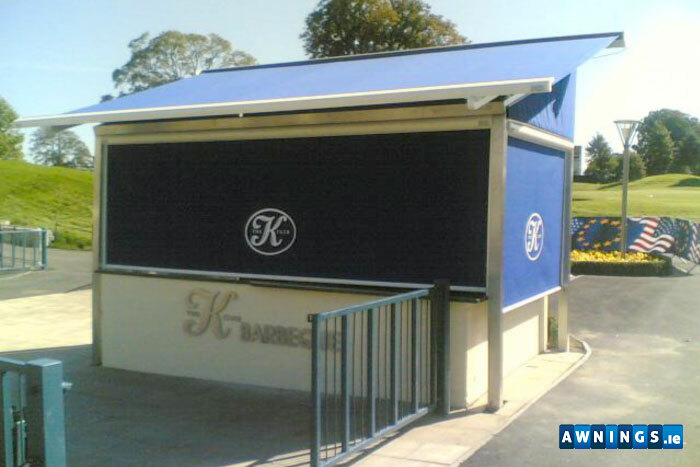 Our dedicated, fully trained awning specialists are more than happy to discuss your requirements and advise you of the best awning or canopy for you. 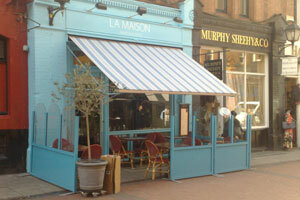 For more information on our awnings please call us on 01 453 0032. 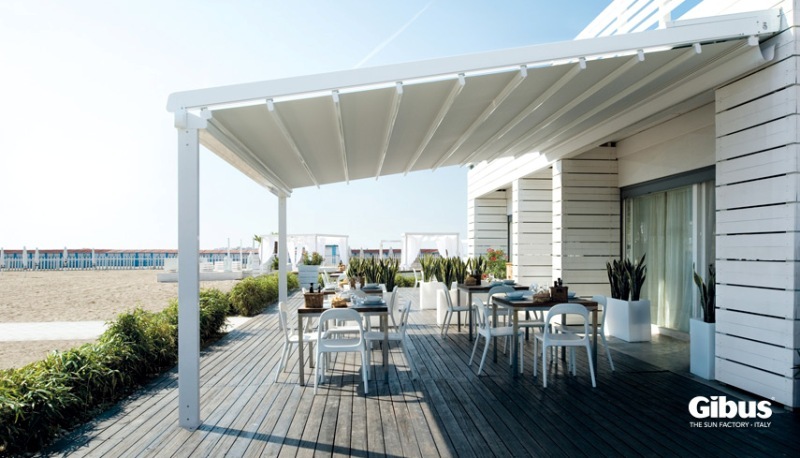 The Awnings.ie outdoor pergolas are inspired by the simplest and most ancient protection structure in the Mediterranean world. 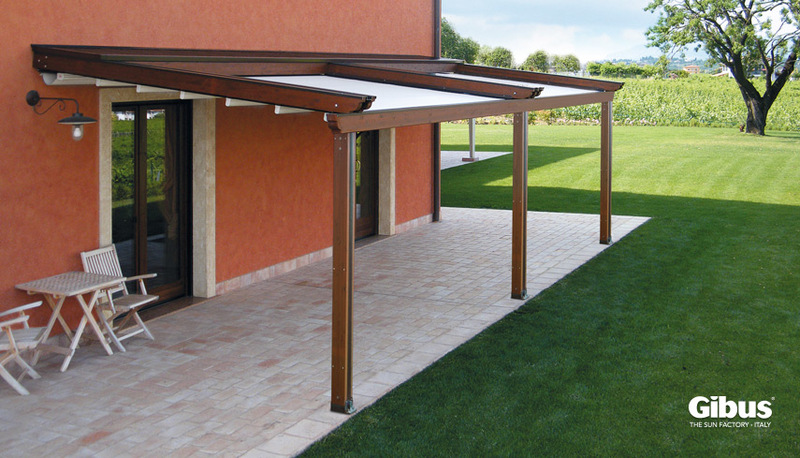 Pergolas leaning against the wall of a building, or self-bearing pergolas in a garden, by the sea or pool-side. 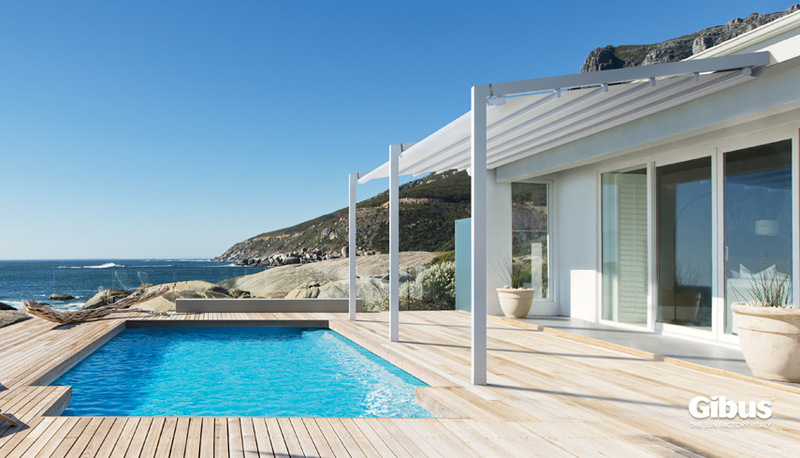 90-degree pergolas, which play up with the linearity of the horizon, or sloped pergolas, as a harmonious part of a building. 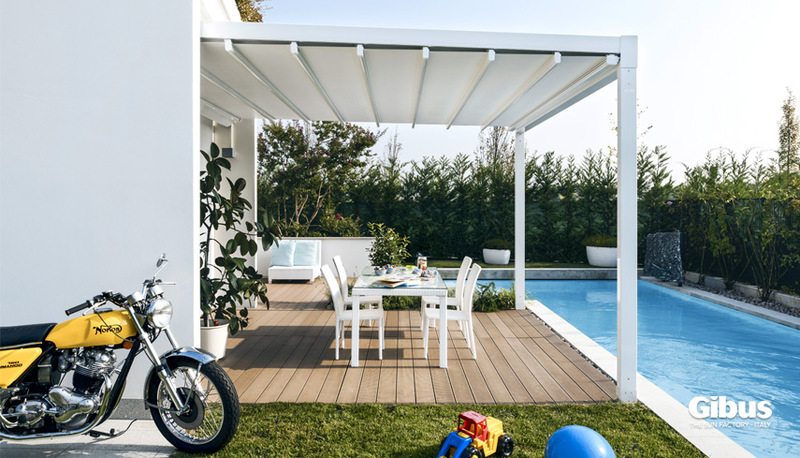 The structure is sturdy and resistant, in powder coated aluminum; the cover is foldable in PVC with horizontal profiles. 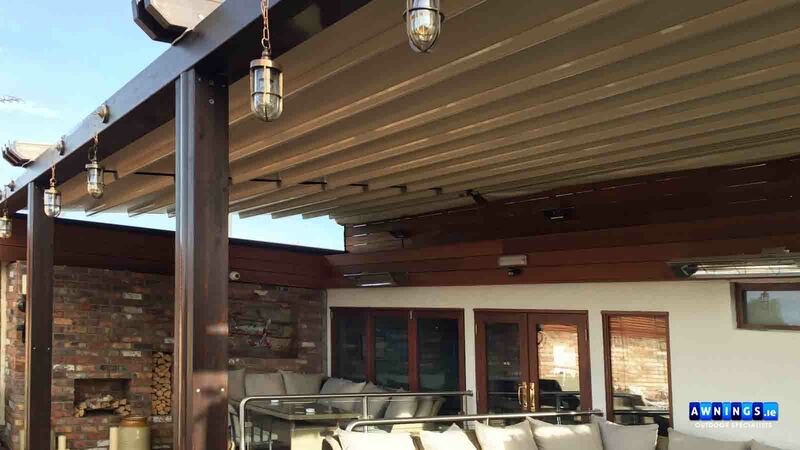 With bioclimatic pergolas the covering system with tilting blades adjusts the microclimate in a natural way: when opened, a pergola shade can stop direct sun radiations and create a light breeze; when closed, it repairs from the rain. 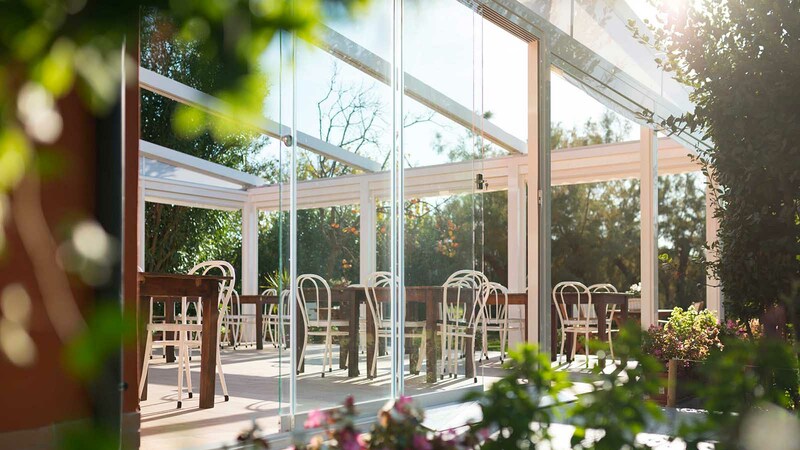 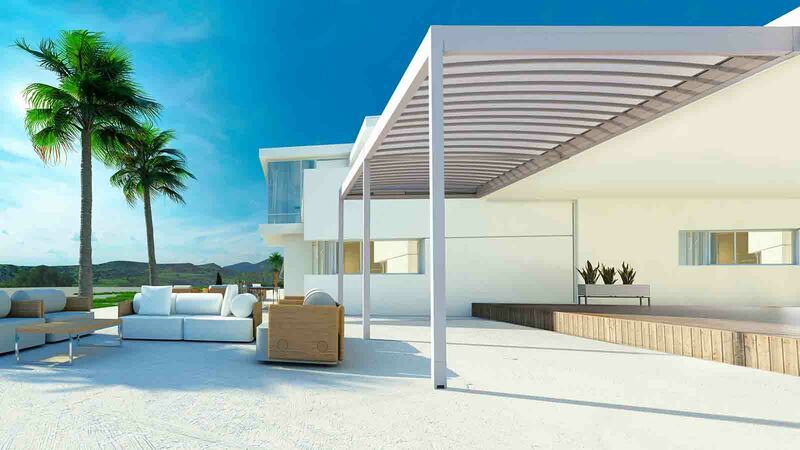 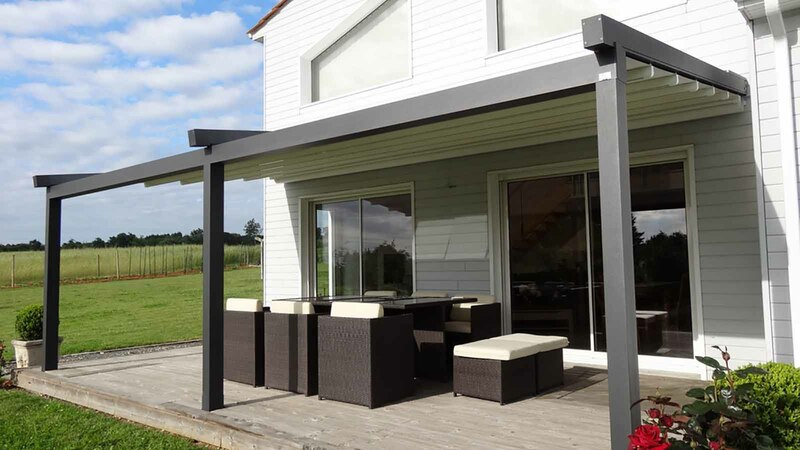 All the covered pergolas by Awnings.ie are available as mono-module and pluri-module solutions, with a customizable number of supporting legs, for application on spaces of different sizes. 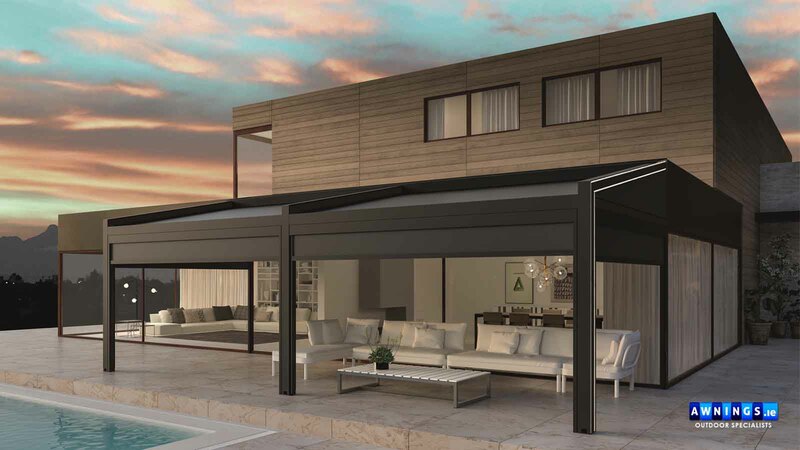 If you already have a pergola for shade or an arbor it can integrated them with an Awnings.ie cover: they are a foldable layer awnings made of PVC, a material which resets the transmission of heat and light. 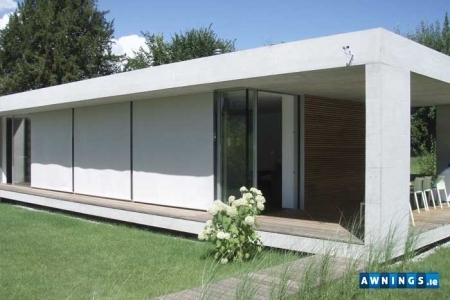 Essential in summer, they guarantee durability over time and resistance to UV rays, bad weather, temperature leaps, heat and bitter cold to the structures where are applied. 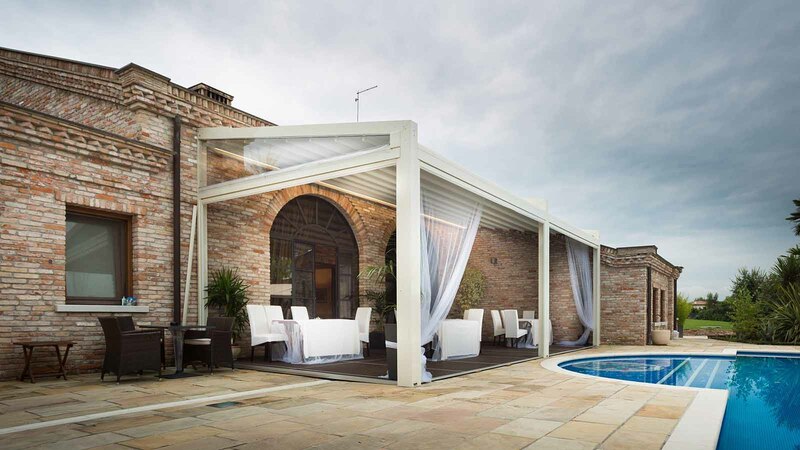 On request, it is possible to choose a pergola with a canopy which integrates, in the pergola frame, a canopy for the protection of the wrapped cloth. 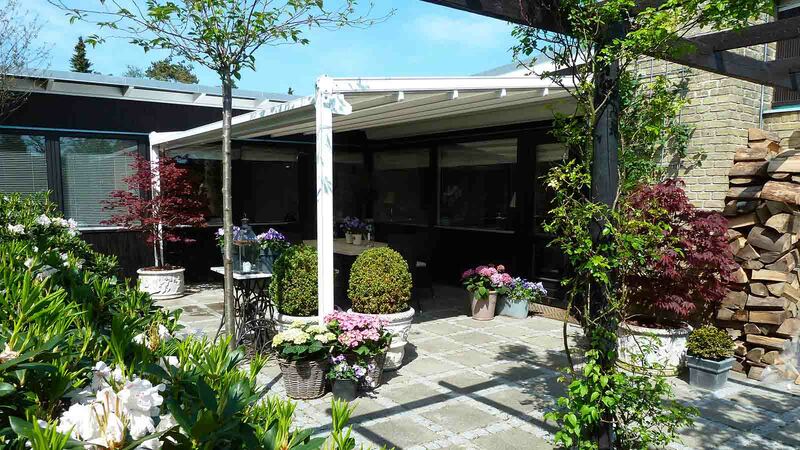 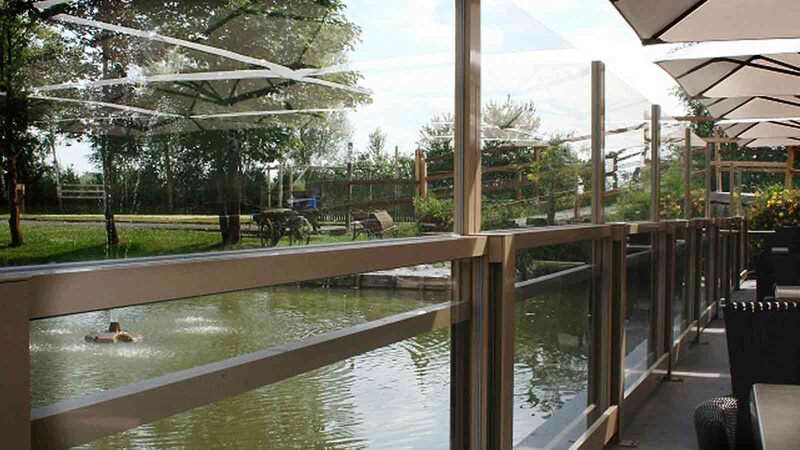 Turning a modern garden pergola into a sheltered space fit for habitation during chilly months: the heaters and the Glisse and Skate windbreak glass doors take care of it. 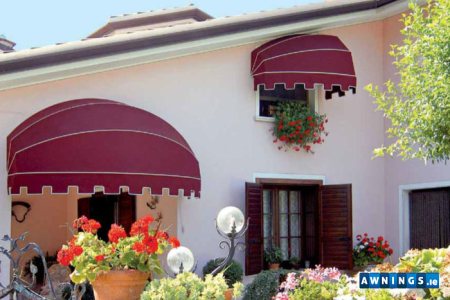 To protect from rain, wind and dust, drop awnings can be used instead. 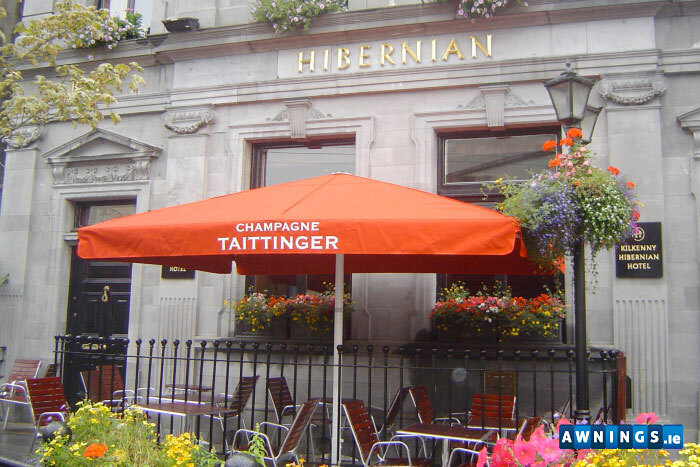 You can’t see it, but it’s there. Fully integrated in the structure. 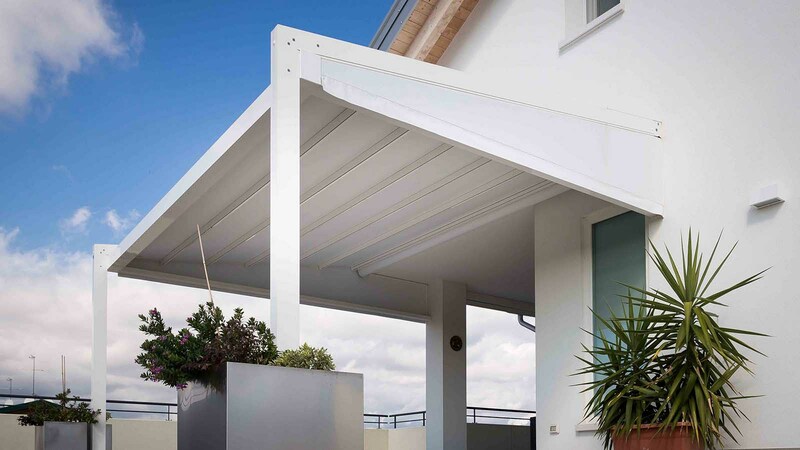 When it rains, the slope of the cloth makes water flow in the gutters and therefore to the legs, to make it drain away from the openings at the base of the supporting legs. 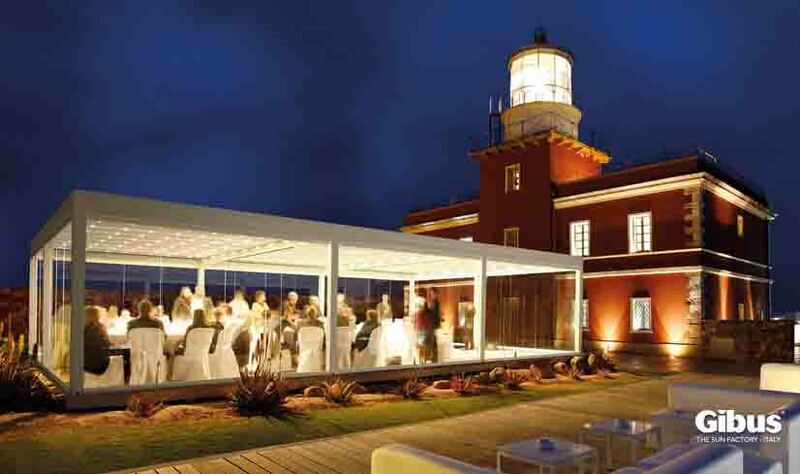 Led RGB, a light line integrated in the structure of the bioclimatic pergolas, to create evocative color effects. 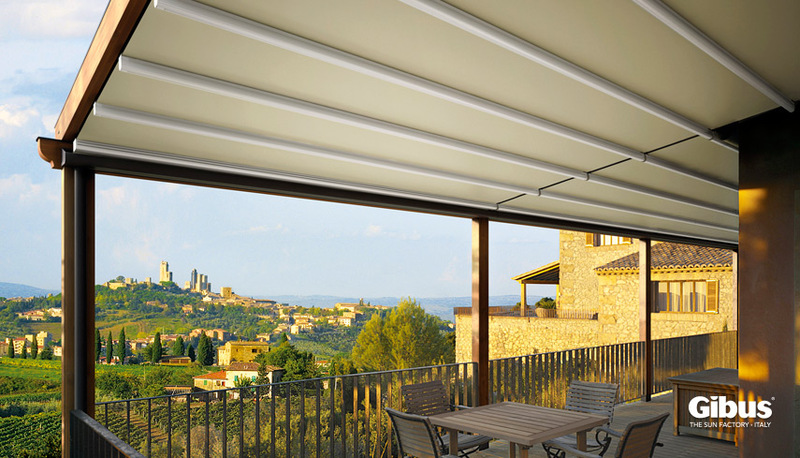 With the motorized, automatic systems of pergolas you open or close the cloth of your covering with just a click of your remote control. Sensors for sun and wind, which extend or rewind the cloth depending on the weather conditions, and manual folding systems are also available. 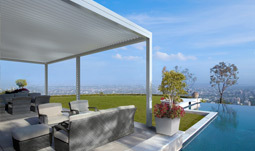 VEGA - the new pergola system with a linear design, characterized by L.E.D. 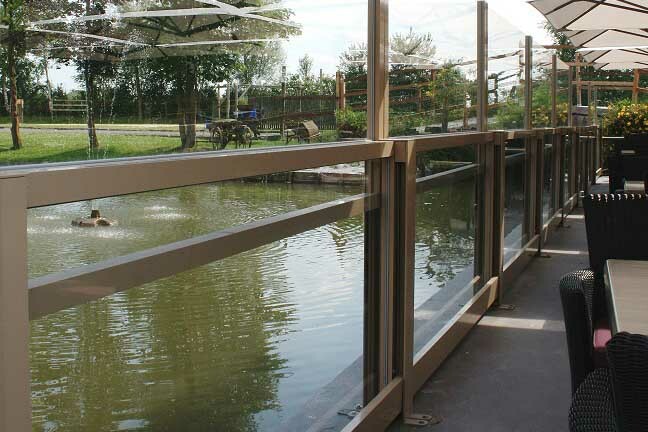 inserts spreading light along guides and pillars. 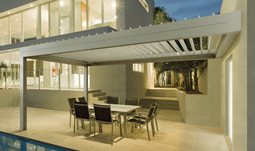 KE has been designing and manufacturing arm, cassette and drop awnings, canopies, and pergolas since 1987. 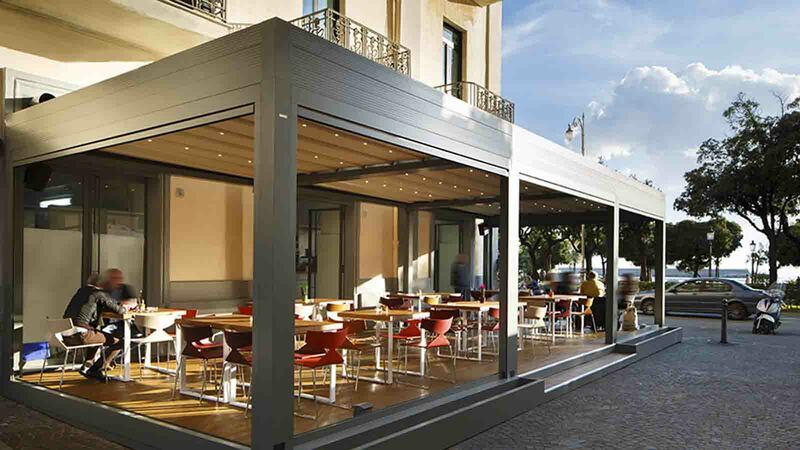 The Company is specialised in the design and production of shading solutions that enhance outdoor experience, up to restyling street furniture. 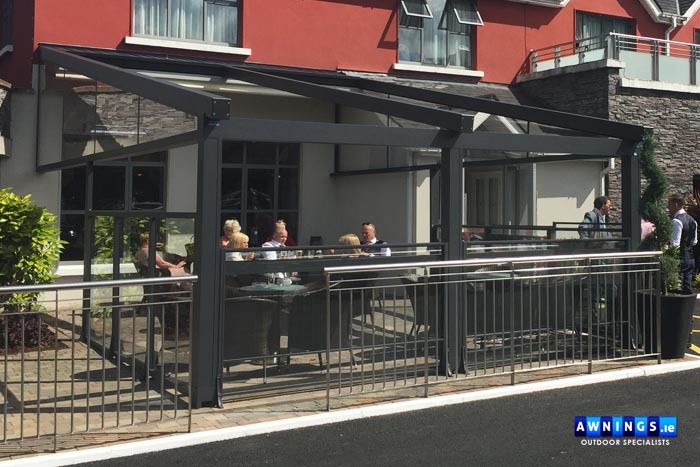 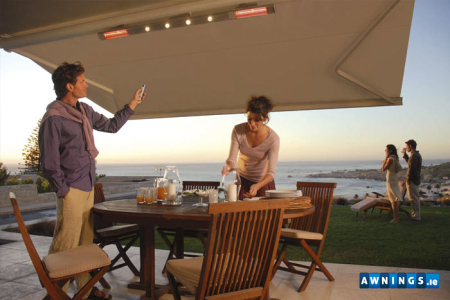 Awnings.ie is Ireland's leading manufacturer and installer of Awnings, Canopies, Motorised Roof Systems, Retractable Pargolas and Outdoor Blinds. 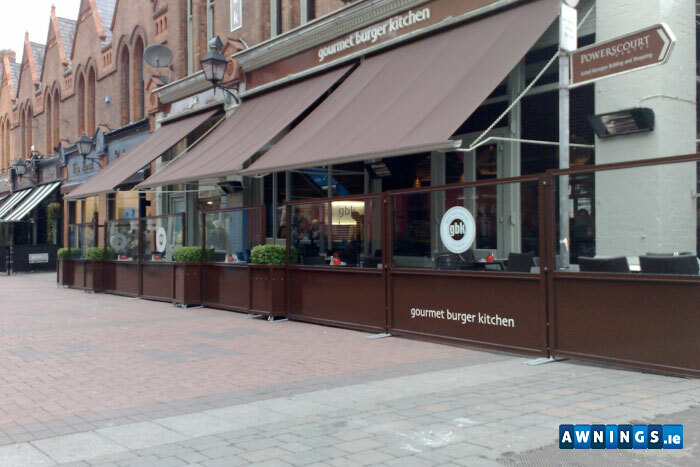 We supply a nationwide service to both commercial companies, restaurants, shops and shopping centres, public houses etc that require the highest quality awnings and canopies, professionally specified and fitted. 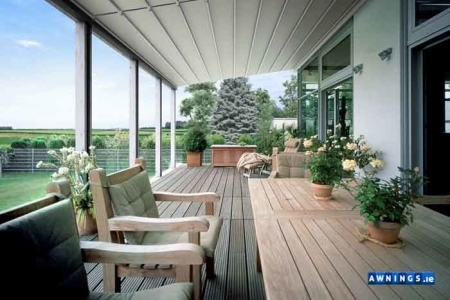 We also offer a vast variety of awnings, canopies and blinds suitable to the domestic market.